I love the Tatami Galaxy; it is a unique absurdist work based on college campus life with the visuals of Sayonara, Zetsubou Sensei and reminds me of a great Natsume Soseki's work called Sanshiro. If you enjoy unconventional and artsy works, I advise you to check it out. I am not entirely sure what to expect from the specials in the first place. The show concludes well and there is no need to dive into the relationship dynamics of the male and female lead; it is even more surprising for the studio to think of something extra of a novel adaptation. Before I started the specials, I suspected Madhouse Studios just wanted to put something silly to appease fans who wanted more episodes. And I was right. 3 episodes of ludicrous nonsense. The first special involves the characters riding a submarine to Antartica to save the Earth. The comedy, or attempted humor as one observes, is reminiscent of works like Sayonara, Zetsubou Sensei. It is a somewhat enjoyable special, but it feels too random and I remember the work being about college campus life; what happened to that? The second special involves the characters trying to defeat the Bed Chamber Investigation Team. There is also a bathing segment that features the girls. Because that's necessary. The third special is actually a somewhat decent special because it refers back to the main character's hatred of Ozu. Madhouse Studios went the Studio Shaft route by increasing some great trippy visuals. Look forward to this special because it feels somewhat like an actual Tatami Galaxy episode, which is very unlike of the others. Overall, I think the specials give a fantastic "meh". It didn't feel like watching The Tatami Galaxy except for the last special. Specials should feel like an actual episode and this series of specials mostly failed. Yojouhan Shinwa Taikei is one of the best anime series I have ever seen, thanks to its combination of a realistic story (for the most part), its original art and all the ideas it was trying to transmit. However, to my disappointment, the specials included with the DVD version were nothing like the 'main' series. These 3 shorts episodes follow the main characters from the show telling some weird fantastic stories that feature themselves doing crazy stuff to solve an even crazier problem. It goes without saying that the stories they tell are neither realistic nor have anything to do with the plot of the TV series. To make things worse, most of the things in the stories aren't even explained and are resolved in a pretty stupid way wich leaves you with a ''What the hell did I just watch'' impression. Overall, even if you're a fan of Yojouhan Shinwa Taikei I wouldn't recommend watching this, as these specials don't add anything at all to the series as there's no plot at all, and it won't leave you a good impression at all (something the ending of the TV series most likely did). To be honest, this just felt like a waste of time, but at least the episodes were short. Art (7/10): the art is more or less the same as in the TV series, though there is much less symbolism, there are no 'real images' and it feels a bit duller in general. Sound (4/10): while the voice acting is what we are used to, the conversations are pretty shallow and uninteresting, the sound effects less common (as in there aren't many), and the background music unimpressive. There are also no OP/ED themes. Character (4/10): while the characters are the same as in the main series, there's no development and they do silly things just for the hell of it. Enjoyment (4/10): the only thing that is enjoyable of the specials is that you can get some laughs because of the ridiculous stuff that happens, but other than that, the specials are forgettable. I must say that I was not aware of the Specials for The Tatami Galaxy and I will just make this quick. The first Special “Land Submarine, to the South Pole” is very strange and it really is not as visually appealing like the series. The second Special “Land Submarine, to the Women’s bath ~Bed Chamber Investigation Team’s Rose colored search~ looks sloppy and it is pointless. The third and final Special “Land Submarine of Love and Fishing” is okay I suppose. Gee, a short review this was… Well, even though these specials were made after The Tatami Galaxy’s run… These specials add nothing to The Tatami Galaxy. The soundtrack may sound the same which is fine and the characters remain their normal selves. The animation is a little inconsistent and the whole “Submarine” thing has nothing to do with the show. You are not missing much if you skip these specials but if you really liked The Tatami Galaxy, trying these specials would not hurt. The Tatami Galaxy Specials are unlicensed. The only way to experience these Specials is to watch it Online. 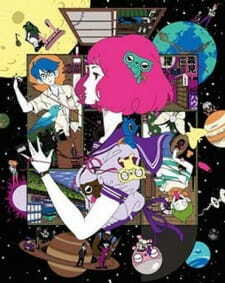 I give The Tatami Galaxy Specials a 5.2 out of 10. The original anime was pretty interesting for me to watch, as it seemed pretty unique to other anime from the art styles and dementia-like scenes, but this special had a pretty mediocre story for me to watch. A story of someone narrating a dream that didn't make much sense isn't a story that I and many viewers would be interested in watching, according to what I've seen and the ratings as well. A rather dull story to watch for a special. The art was alright. It was the same as the TV series, which was neither really well made or not made well. The voices were pretty well synced with the characters, but that's pretty much it. There was a lack of other background sounds or too few for me to find this realistic (within that world) enough. The characters were not as lively as what I've seen from the series. They were quite dull and boring to me. They do appear to behave as they normally would, based on their personalities, but kind of appeared as if they were acting in one of Masaki's poorly made movies rather than in an actual dream. I did not enjoy this very much, mostly because of the boring plot and the dull characters, and overall, I found this to be a pretty mediocre anime to watch.